Let us help educate you on the signs & where to look! Any where water is coming out or leaving! Leaky pipes, faucets are the 1st to look at but also in the shower or wherever there is caulk – mold can collect. Does your toilet run? Is there moisture in and around your toilet? 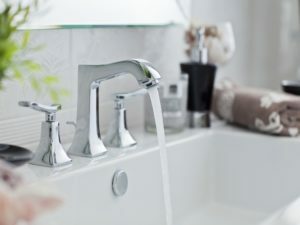 Within your floor, especially if there is tile or caulk – take a look at where the water enters your home and clean on the regular. In the bathroom, make sure you turn the exhaust fan on while showering or anything that moisture is in the air steaming up the bathroom. 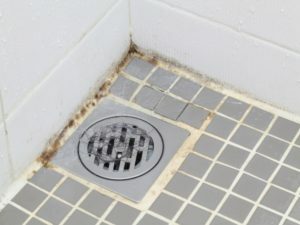 Vents are crucial to mold not building up – you still can never be to sure, so if you have any doubts or you’re experiencing health issues such as respiratory – call us, if mold is there – we will find it! Do you see the mold? Mold can be hidden, depending on color – location and many other variables so this sink does indeed have mold. 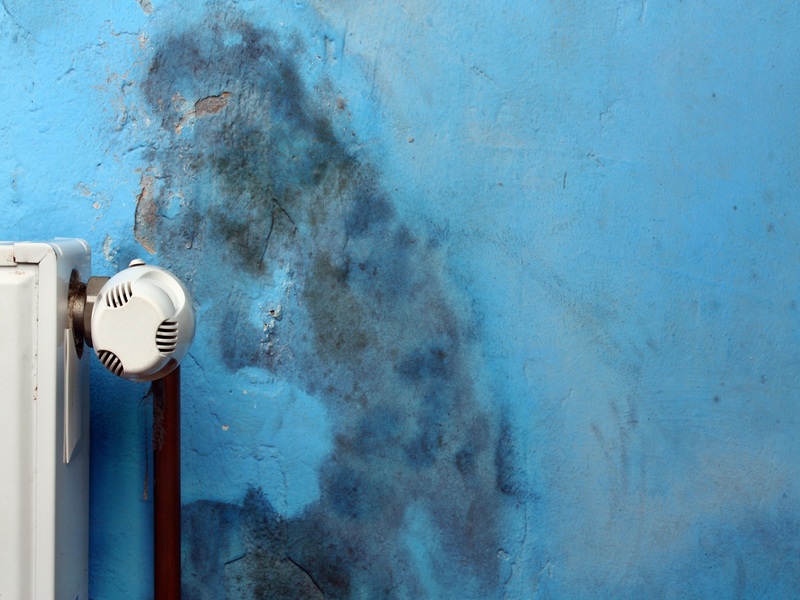 It’s important that if you’re experiencing health issues, such as respiratory issues, that you get a mold inspection! 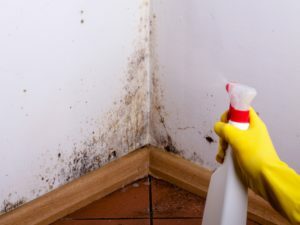 Mold can be obvious based on this picture, but keep a watch for leaky windows or windows left open when it’s raining – that mold can grow beneath the surface and hard to identify at 1st unless you do a test. Where is your dishwasher located? Do you have an exhaust fan near the stove where you could be boiling water? 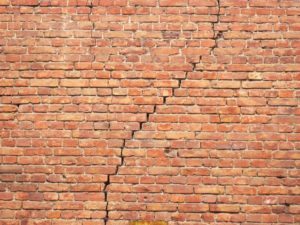 Is there older tile up on your wall near an area of water – as you see in this picture, the tile was removed and there is the mold! How do know if you had leaky pipes or water damage inside the walls unless you tear down & take a look. This is most of the times unnecessary to do with the mold dedicator tests/equipment we have. 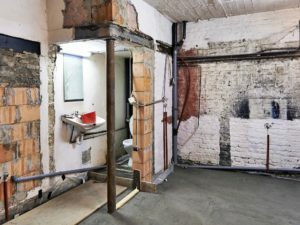 If we do have to remove an area, we do it carefully so it’s able to be put back in place. Mold can grow pretty much anywhere so depending on the environment in your home; if you’re running a humidifier, if you’re not, etc. 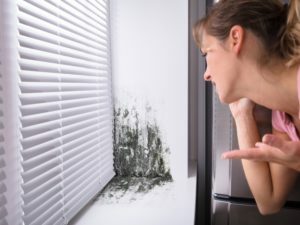 are just some basic questions we can go over with you to see if you have a lifestyle that could potentially breed mold without you knowing it. 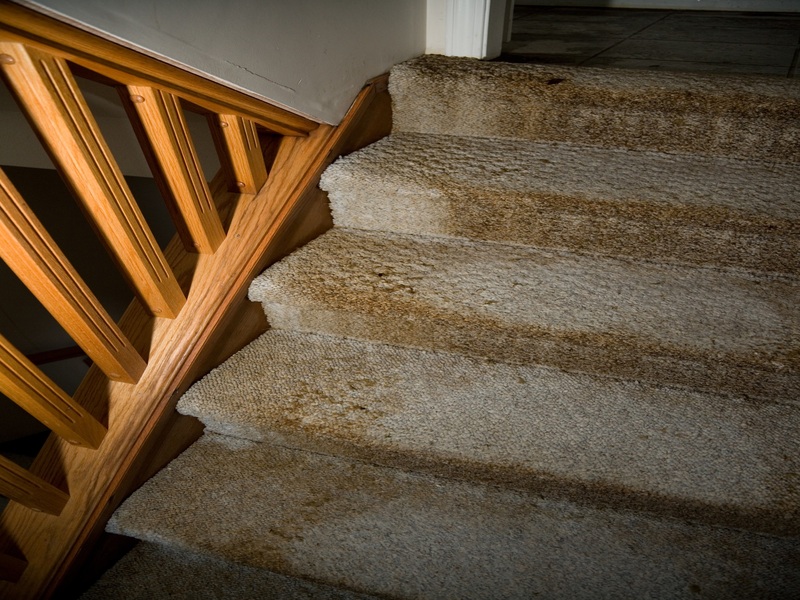 Now this carpet shows definite signs of water damage, but to some it may just look stained or dirty. 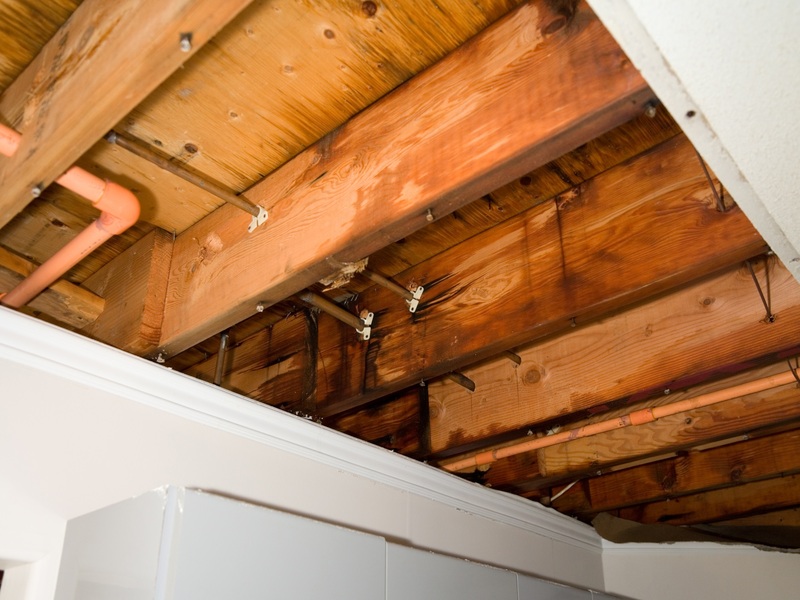 It’s important to know what happened within a home prior to buying it – was there a water leak? Carpet should be replaced every so often, but if there is carpet in an area of the home; kitchen, basement, bathroom – those should be checked for mold as water/moisture are nearby. 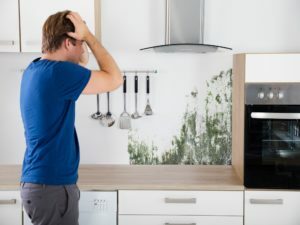 Pretty much any place there is water; sink, washer/dryer, hot water tank – you name it, with water there are chances of mold. Do you see the mold? 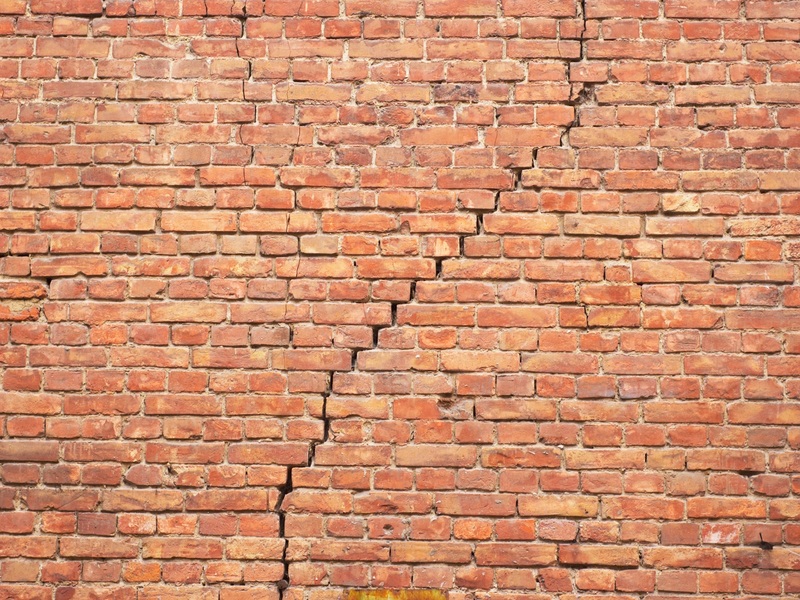 It’s pretty impossible when it’s an exterior wall; whether brick/siding/plaster…any cracks can cause leaking and when mold gets behind these walls – there is a lot more tearing down to find the mold if it’s not caught in time. 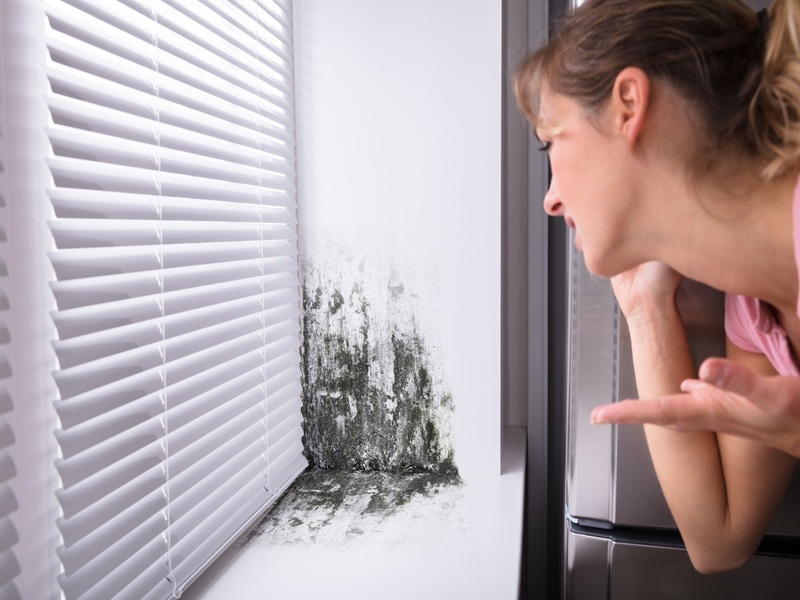 Fortunate for us, we have tests & equipment that are a non-invasive way to check for mold. Can you see the mold? 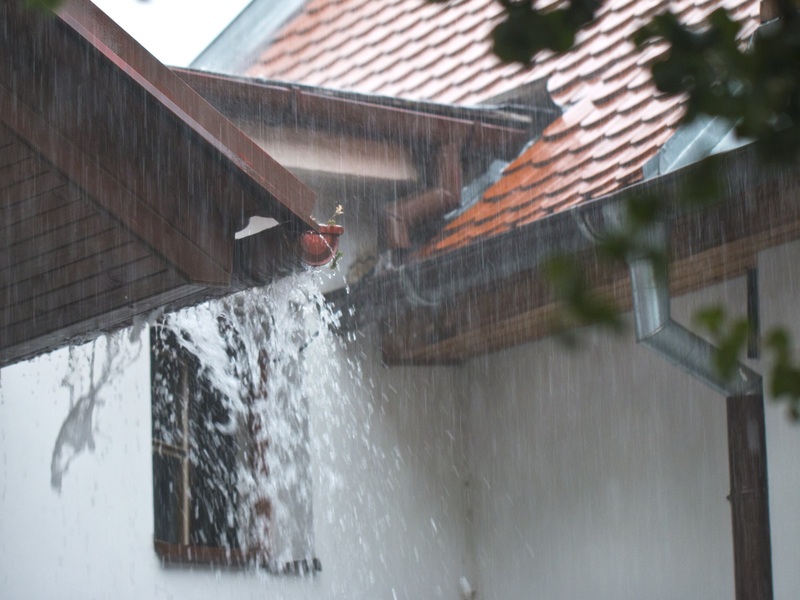 No, probably not because mold doesn’t grow on gutters but gutters that doesn’t stay cleaned out & can clog with debris can cause water to drain places it shouldn’t – and could potentially cause mold within the exterior walls or house in general. Our tip is to keep those gutters cleaned out, it will save you a lot of time & money! Pretty much anything listed can leak into your home or exterior walls causing mold. 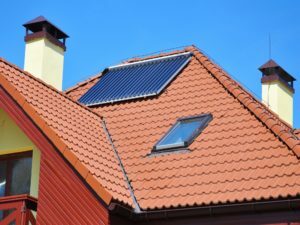 Chimney’s connect directly into your home fireplace, roofs can leak into the attic causing interior wall damage and skylights – well, their windows too & need to be checked to be sure they are sealed.